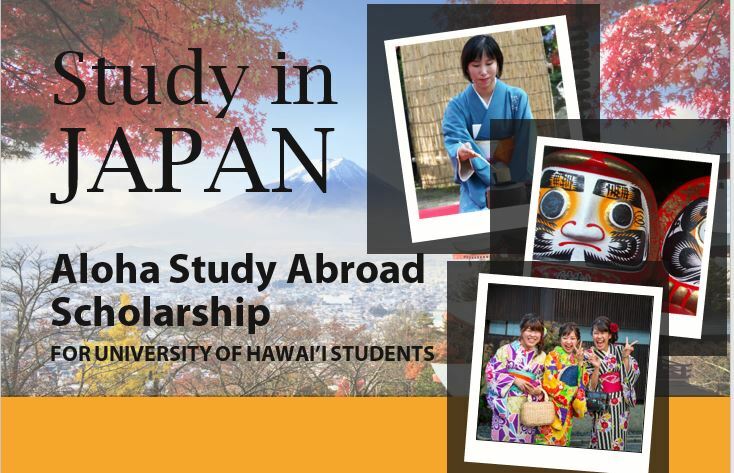 This scholarship provides study abroad opportunities for University of Hawai`i students who wish to study at an institution of higher education in Japan; specifically, in the region most affected by the 2011 earthquake, tsunami, and nuclear crisis (preferably Tohoku or Sendai University) for a semester. Read more to find out about the eligibility and application requirements. Classified undergraduate or graduate student in any area of study at one of the University of Hawai’i campuses and enrolled full-time. Accepted to a university in Japan in the region that was affected by the earthquake, tsunami, and nuclear crisis (preferably Tohoku or Sendai University) for a study abroad opportunity. Accepted for Spring 2019 or Fall 2019 semester. Attach a copy of an acceptance letter from a university in the Tohoku/Sendai region of Japan. If you have any questions, contact Pauline Filemoni, Community College & International Education Manager, at (808) 956-3855 or pfilemon@hawaii.edu.